In conversations about freelancing and online marketplaces for remote contract workers of the tech industry, the name of oDesk floats up pretty often. Founded in 2005, the company has since delivered more than $1 billion from employers to freelancers. According to the last stats provided by oDesk itself, the company has 4.5 million registered freelancers who have worked 35 million hours in total, as well as 900,000 clients who have posted 1.5 million jobs. oDesk claims that it dominates the market of online freelance marketplaces with $360 million spent by its clients in 2012; this number for the five closest competitors combined – Elance, Freelancer, Guru, People Per Hour, and 99Designs – reaches only $310 million. The company’s VP of Business Development & International Matt Cooper, with whom I spoke a few days before the IDCEE conference where he came to give a talk, is not really concerned with the rivals’ numbers though. “For us, the opportunity is not about taking market share from other players, it’s really about expanding the awareness of online work and hiring these virtual global teams as an alternative to traditional way of recruiting or building a company,” he said. Trying to bring more clients and freelancers to the platform, oDesk recently introduced a new service. “On the enterprise side of our business, we’ve seen the increasing demand from traditional large corporate buyers looking for ways to manage a more distribute workforce,” Cooper said. “In some cases they come to us and want us to help them build a team that they hire off at oDesk, in some cases they’ve already built a team through other means and they just need better systems and tools to manage and pay that team. 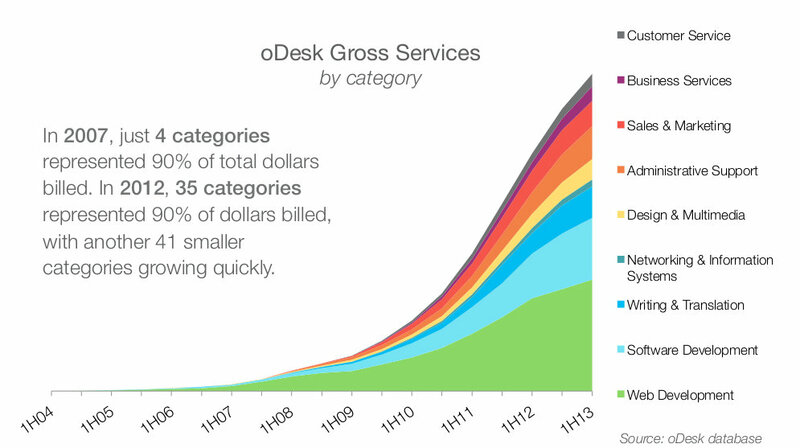 Enterprise clients for whom Private Workplace was introduced are a minority at oDesk, but this minority brings the bigger part of the revenues. Most of clients are “startups, small businesses, and solo entrepreneurs who are building their business on or around oDesk,” Cooper said. While smaller clients are usually looking to hire one or two freelancers, some of enterprise ones work on a really big scale. Copper says there are at least two companies at oDesk that employ more than a thousand freelancers. Moreover, the marketplace itself is in big part fueled by freelance workers. “We have 120 full-time employees and close to 350 freelancers working for oDesk directly,” Cooper said. “In our customer service team we have a hundred freelancers, in our trust and safety team we have another hundred, in our engineering team we have close to 150. Speaking of freelancers’ specializations demanded by clients nowadays, it seems that there are no “traditional” freelance jobs anymore. This jump has contributed to 60 percent of the hour works dedicated to non-technical work. However, in terms of dollars spent, the inverse is true: 60 percent of the dollars spent are on technical work, and 40 percent are on non-technical. In addition to “pure” technical and non-technical skills, many people nowadays are looking for freelancers who know their way around oDesk itself and are able to keep a distributed team in order. But managing someone online is entirely different than working with someone in person. In addition to speaking at IDCEE’13 in Kyiv, Cooper had another goal in visiting Ukraine (and Russia, a couple of days before that). In mid-October, oDesk held a programming contest for freelancers registered on the platform. The competition was intended for software developers from Russia and Ukraine. The main prize of oDesk’s competition is a trip to the Silicon Valley with guided tours to the offices of major Internet companies, including Facebook, PayPal, Autodesk, and others. Cooper also noted that the winner will be interviewed to become a part of the oDesk team, so there’s also a hiring effort taking place. 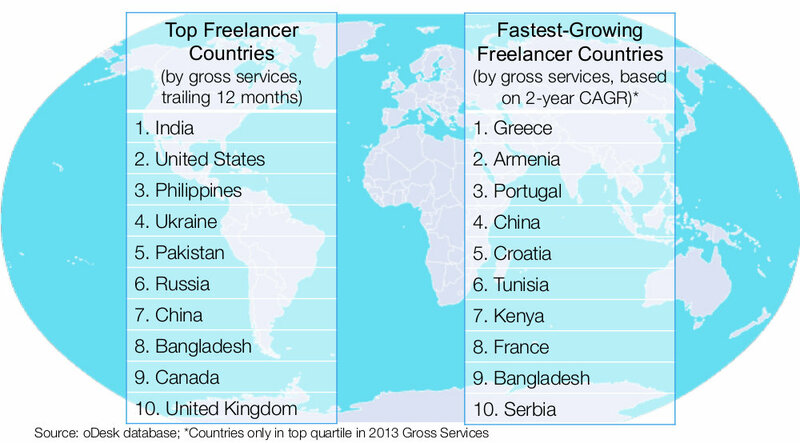 Another reason why Russia and Ukraine are important for oDesk (and might become important for freelancers in general) is their gradual transformation from entirely freelancers’ countries to those where also many clients are located. 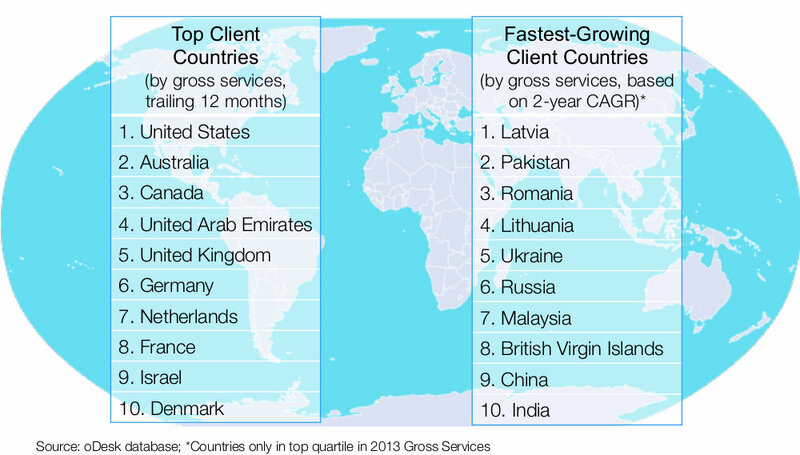 Among other fastest-growing client countries one can also find Latvia, Pakistan, Romania, Lithuania, and Malaysia. Freelancer is coming to Russia to hold a media event in the coming weeks and we want to hear your story! We are looking for businesses and freelancers who have used Freelancer.com successfully to profile them in some of the largest and most influential media outlets in Russia. Your story and your business could receive a major boost by appearing on national TV or in a leading national newspaper! It’s obvious to us that you’re a talented go-getter. That’s why we’re letting you know about a special opportunity here at Elance. We’re looking for a handful of rising stars like you, ready to help introduce online work in Russia. You’ll join others in our Freelance Mobilizer Program, recruiting people to join the Elance revolution. By holding training and social events in your city, you’ll ultimately become the online work expert in your community. Along the way you’ll help other freelancers become successful, all while earning money and other compensation. This increased attention from online freelance marketplaces to the Russian market may be connected to recent changes in PayPal’s status in the country. Since September 2013, PayPal users in Russia can withdraw funds in rubles to Russian bank accounts, which could make all the payments way easier for both freelancers and clients. 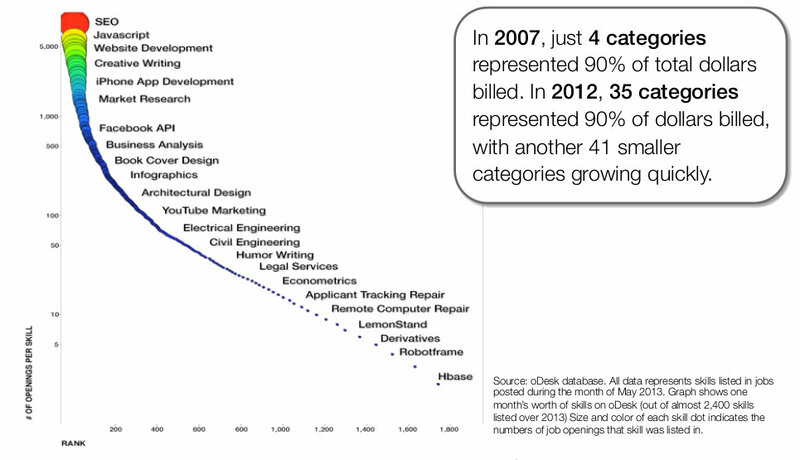 oDesk is quite optimistic about the future of remote work, and the reason for this is the new “millennial” generation. With a trend toward freedom of choice and flexible management, all signs point to an even more remote professional lifestyle in the coming years. So, what does one need to do first after deciding to become a freelancer? First of all, make sure that there are buyers for the skills you’re intended to sell. In addition to mobile, the most demanded skills at oDesk over the past year were Web Programming, Web Design, Data Entry, SEO, Desktop App Development, Graphic Design, Web Content Writing, Blog & Article Writing, and Customer Service & Support. Another tip from inside oDesk is to be patient with raising your rates. “If you look at individual’s rates over time, it increases by about 190 percent over the first three years,” Cooper said. “People typically come in and start bidding on jobs at around what they’d typically make locally, and in many cases that is well below what the client would be paying locally, so they end up finding great talent and great value. One more thing that a young aspiring freelancer should be keeping in mind is that flocking into teams is not always a good way to get a job. 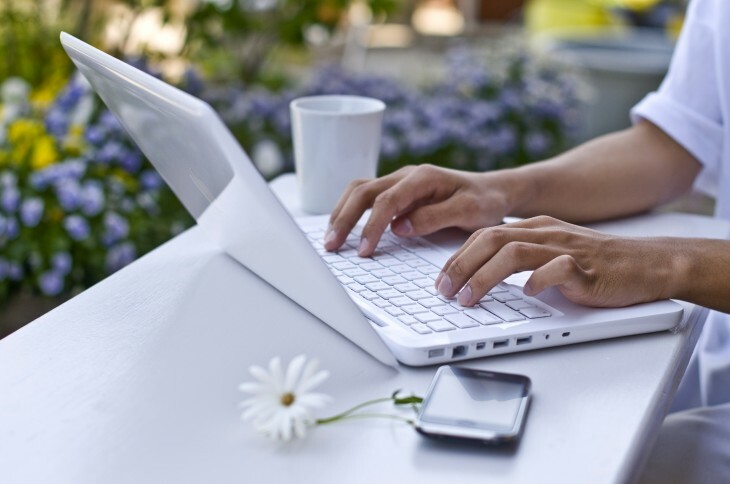 The variety of ways and areas where remote work has become tolerated and even encouraged is widening rapidly. Here at The Next Web, content derives from a distributed online team based in a dozen different places – with even more freelancers and contributors checking in globally. So look around yourself, maybe there’s a task or two you could delegate to a freelancer to catch the trend and be more efficient.